Established in 1895 in the small England village of Holcombe as J.W. Foster and Sons, Reebok, as it was renamed in 1958 (after “rhebok”, a type of African gazelle) is a “worldwide designer, marketer and distributor of sports, fitness and casual footwear, apparel and equipment.” In 2006, Adidas Group acquired Reebok and, according to this report, it’s been holding back Adidas’ profits, noting that Reebok itself has been unprofitable for many years now. 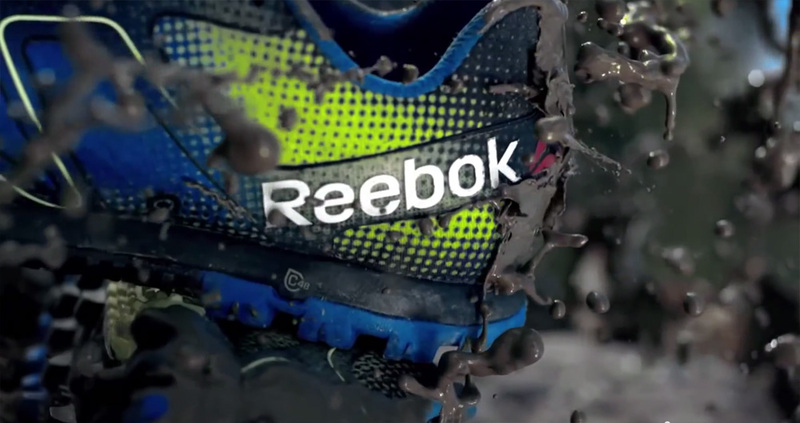 A clear reflection of Reebok’s place in consumer culture: When was the last time you thought of Reebok in the same way you think of Nike or Adidas? 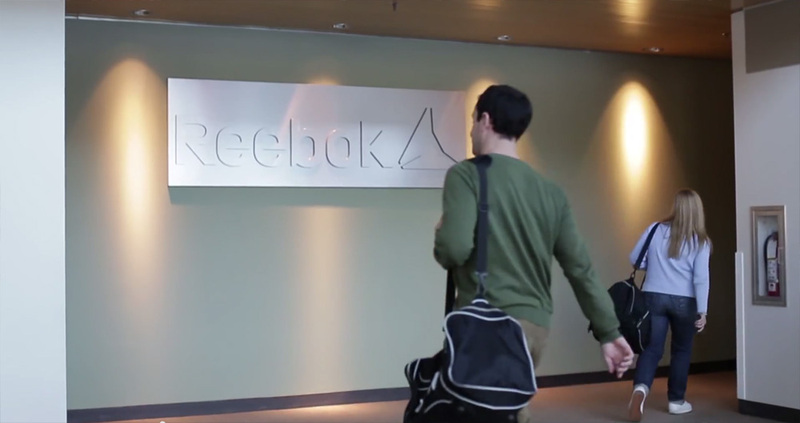 As part of its repositioning, starting in 2013, Reebok has been focusing on fitness instead of specific sports and started supporting the CrossFit movement, introducing Reebok CrossFit last year and marking the first use of the “Delta” logo, which has now been promoted as the official Reebok log… excuse me, as the official Reebok symbol. 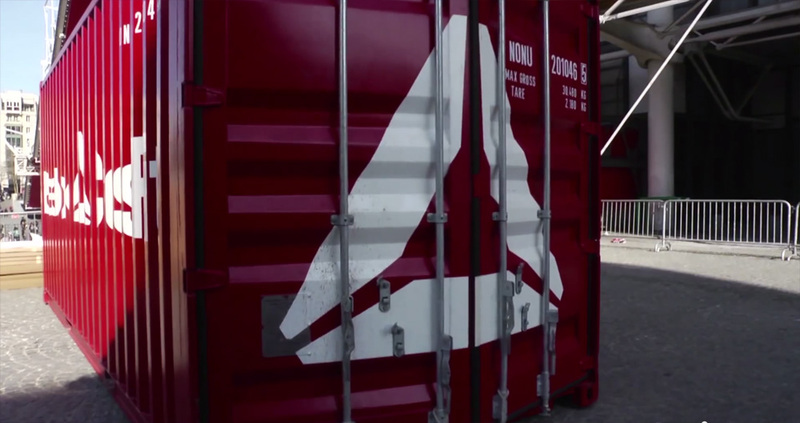 The new Reebok Delta symbol represents the positive and transformative change that fitness can have on a person’s life. Through the millennia the delta has been a symbol of change and transformation. The Reebok Delta has three distinct parts each representing the changes — physical, mental and social — that occur when people push themselves beyond their perceived limits and embrace an active and challenging life. It’s probably not fair to keep comparing Reebok to Nike or Adidas but since no one ever said design blogging had to be fair I shall continue: I don’t think the previous Reebok logo ever achieved the same ubiquity or memorability as the Nike Swoosh or Adidas’ stripes. Before writing this post, if you had asked me to draw the Reebok icon from scratch I wouldn’t even have known where to start. This is a long way of saying that changing the logo is not a brand equity killer for Reebok and, as it turns out, moving into something much simpler that comes with a small but passionate following in the CrossFit community is a smart move. The new delta logo isn’t particularly interesting or innovative — other blogs have whined that it looks like the Delta Faucet logo or Google Drive but they all have it wrong, it looks like tasty oznei aman eaten during the Jewish holiday of Purim. Lame comparisons aside, the new delta logo is simple, it looks like it means business, and it works perfectly on apparel. Again, not a fantastic logo but it gets the job done. New logo introduction. Long-ish. Some screen captures below where the new logo can be seen. Screen captures from the video. 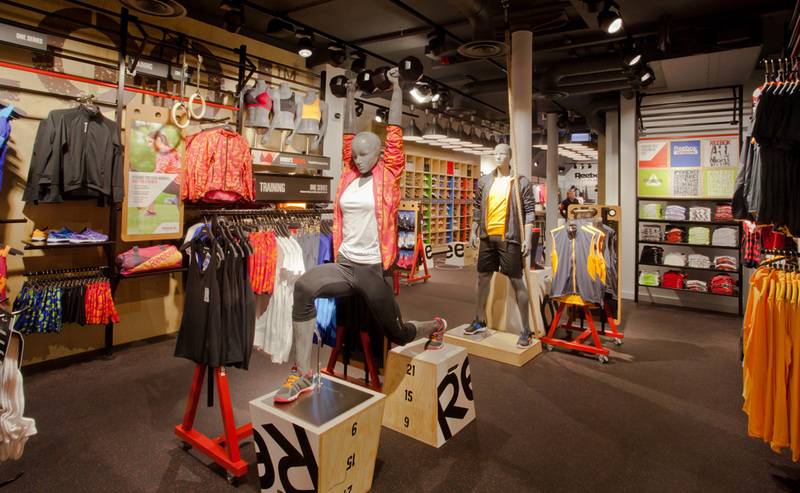 New Reebok FitHub stores. More info here. As due diligence on my part, here is Miranda Kerr introducing a new line of shoes. New logo at the end. Told ya this was important and relevant. In application there is not much to see. Just the logo on stuff. But given the large amounts of stuff the logo goes on, it’s surprising to see how well it works on so much of it. I doubt the logo will single-handedly turn profits for Reebok but at least it’s a clear signal that this is a new Reebok and that it endorses a specific set of activities — “training, running, outdoor, yoga, dance and aerobics” as specified in the press release — that Nike and Adidas are not placing as keen a focus on. Thanks to Jonathan Lawrence for the tip. Established in 1895 in the small England village of Holcombe as J.W. Foster and Sons, Reebok, as it was renamed in 1958 (after \"rhebok\", a type of African gazelle) is a \"worldwide designer, marketer and distributor of sports, fitness and casual footwear, apparel and equipment.\" In 2006, Adidas Group acquired Reebok and, according to this report, it's been holding back Adidas' profits, noting that Reebok itself has been unprofitable for many years now. 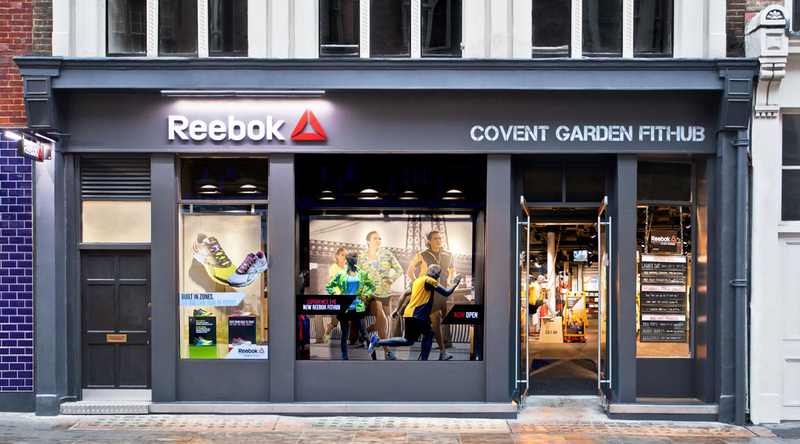 A clear reflection of Reebok's place in consumer culture: When was the last time you thought of Reebok in the same way you think of Nike or Adidas? 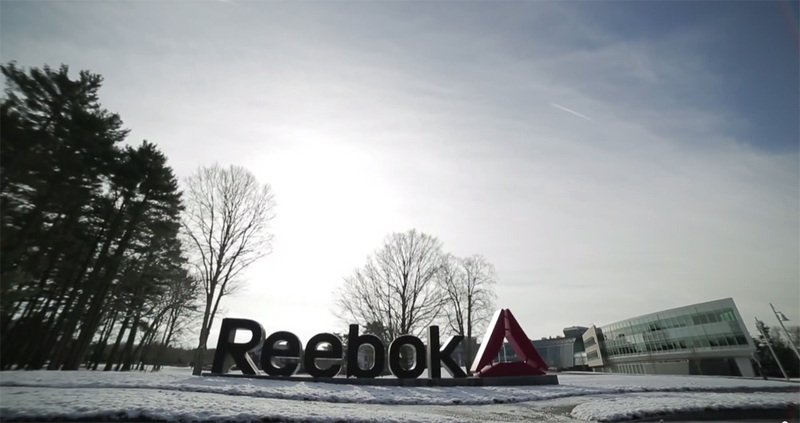 As part of its repositioning, starting in 2013, Reebok has been focusing on fitness instead of specific sports and started supporting the CrossFit movement, introducing Reebok CrossFit last year and marking the first use of the \"Delta\" logo, which has now been promoted as the official Reebok log… excuse me, as the official Reebok symbol.